It’s quite fitting that the Hindi version of Rituparno Ghosh’s adaptation of Rabindranath’s Tagore’s novel Nauka Dubi forewent the actual Hindi translation of the title – boat wreck – and is instead called Kashmkash or dilemma, because one is indeed faced with something of a conundrum while watching and evaluating the film. Do you look at the film that Ghosh has so lovingly created, or do you judge it by the dubbed Hindi track that Bollywood ‘showman’ Subhash Ghai has provided? It might not have been that confounding had the two values at play here – original visual accompanied by imposed audio – found a happy harmony. Unfortunately, that doesn’t happen, and the two are constantly at odds with each other, like two bickering spouses inextricably linked but at cross purposes all the time. Inexplicably, Ghai chose not to have the original actors do their own dubbing, but even that wasn’t an insurmountable misstep if he had at least then hired competent dubbing artists to do the job, but no, he instead gets people seemingly selected through the rigorous process of eenie-meenie-miney-moe. Ghosh has obviously taken a page or two out of the Satyajit Ray Book of Cinema chapter on Bengali period film where the look and aura of his movie is concerned; there is plenty of vintage architecture and props on display, not to mention the whiff of Ray regulars like Madhabi Mukherjee and Soumitra Chatterjee that emanates from the lead actors. 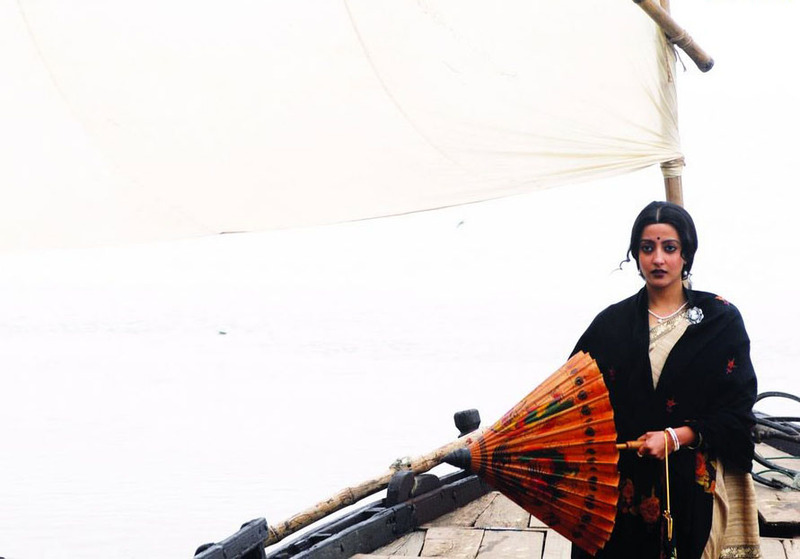 Raima Sen in particular seems born to play a Tagore heroine, darkly romantic and all kohled eyes. Her sister Riya is a pleasant surprise in her rural avatar; hitherto known mainly as the star of an unfortunate sms scandal, the actress absolves herself nicely. And Ghosh gets the pacing of the story right; there is plenty happening but he manages to capture the contemplative tone of Tagore’s narrative. Of course all of this makes it all the more infuriating that the dubbed voices provide the kind of depth of emotion found in a kindergarten production of The Three Little Pigs. One can appreciate Ghai’s noble intention, that of bringing Ghosh’s work to a wider audience, but one really has to wonder at the half-assed way he has gone about it. I don’t know about anyone else, but my heart and soul cried out ‘Subtitles!’ and that’s not a sentence ever written before in the history of writing.